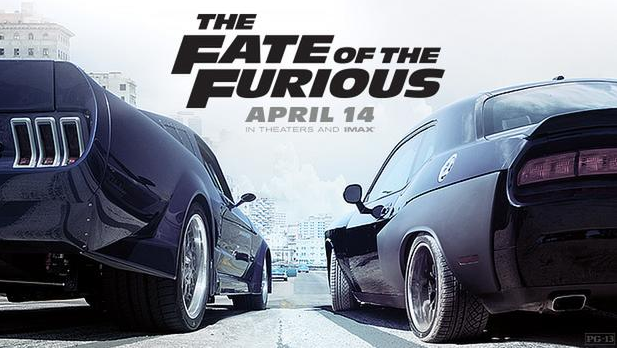 The Fate of the Furious roared into theatres this weekend and offered a new, exciting way to enjoy the franchise: 4DX. The 4DX technology offers an interactive experience complete with moving seats, flashing lights, bursts of air and mist. With each rev of the engines, your seat vibrates and then lifts up for acceleration. It actually feels like you are behind the wheel with Dom and his team. If you’ve ever been on Star Tours at Disneyland, it’s a similar experience. As the cars race around corners and slam through barriers, you move with them. The windblasts would be more effective and less irritating, if they came from the front. But it’s really the seat movements, which mimic heave, roll and pitch, that make this a far better way to see The Fate of the Furious than your standard 2D or 3D. As for the film itself, it lacked the emotional resonance of the previous film – for obvious reasons. It did, though, provide what you expect from Vin Diesel, The Rock, Jason Statham and company: action, speed, and some awesomely bad jokes. The weak spot in the film was surprisingly Charlize Theron’s character. Her Angelina Jolie Gone in 60 Seconds braids were distractingly awful and her attempt at being menacing fell flat. There was something about her performance that felt cardboard when compared with her recent turn as the Evil Queen in The Huntsman. Everyone knows, though, that you don’t go to see any of The Fast and the Furious films for Oscar winning performances. You go to see badass car chases and stunts. This film lives up to that expectation, even while providing some totally preposterous chases. The one chase that felt…uncomfortable…was the opening scene where Dom drives a car that’s engulfed in flames. It felt awkward in light of the manner of Paul Walker’s death. If you haven’t been to a 4D theatre before, this is the perfect film to test-drive this technology. The Fate of the Furious in 4DX is a fun ride that doesn’t disappoint. Look for Guardians of the Galaxy Vol. 2 and Pirates of the Caribbean: Dead Men Tell No Tales in 4DX coming May 2017.